Secret Colours are a rock band touched with the ghosts of their forebears. When the chunky riff and bass line open the new album Positive Distractions Part 2 the listener is now raptly waiting for the next chord progression and lyric and told to sit back and enjoy instead of overanalyzing what they’re listening to. The band, as before on the first half Positive Distractions Part 1, evokes an Elvis Costello sensibility, it’s modish brit rock with too cool for school grooving and attachment to a subculture that can be barely understood by those sitting outside. On songs like “Mrs. Bell” the dancing keyboard throughout the tune captures the lackadaisical and free attitude that the song inspires. The vocals are mellow, the keyboard is bright, and the other instruments interrupt in passionate contributions. The song itself could be a nod to what Secret Colours owes to those artists that they’re listening to and indebted to, a Mrs. Bell that guided them to their current sound. 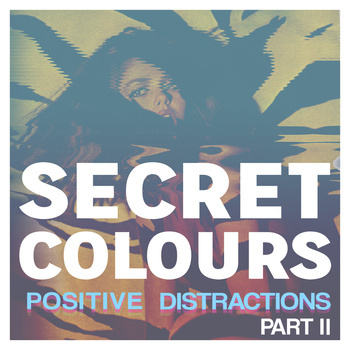 Secret Colours are solidly promising, and each tune on the two Positive Distractions EPs is much more than that.